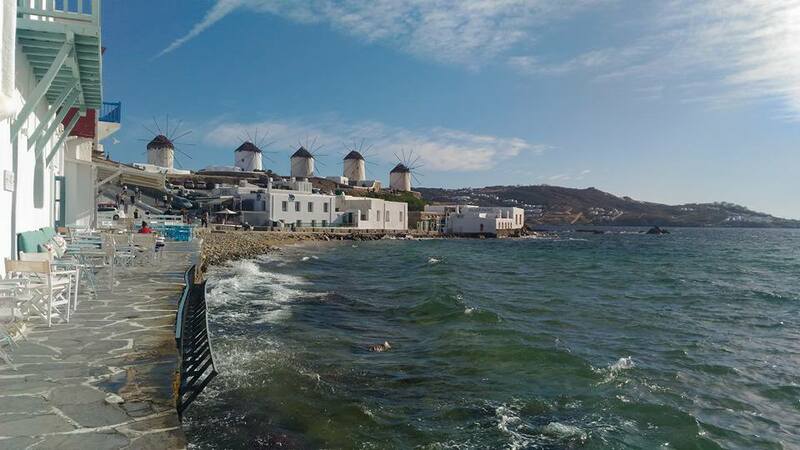 Little Venice and the Windmills, Mykonos Town, Mykonos Island. Photo by Annie Tang. 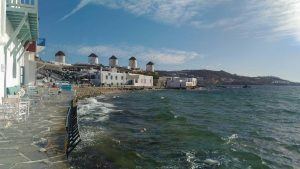 When I was asked to write a travelogue on my two-week sojourn to Greece, I could not help but write this through a lens of intersectionality. As a person of color (POC) and a young woman, solo traveling in predominantly white countries intensifies my experiences in these overlapping identities. My identities (more than what was mentioned) influence me, as my outward physical identities influence how people treat me, wherever I am. Meteora monoliths, Kalambaka, Thessaly. 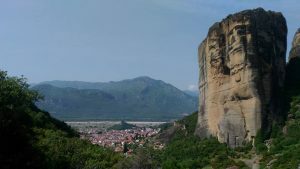 Several medieval monasteries were built atop the monoliths by monks who climbed and used a system of ladders and pulleys to construct the places of worship thousands of feet in elevation. Photo by Annie Tang. This international trip was a whirlwind of self-planned inland and island adventures with an itinerary which included: the archaeological wonders of Athens, Mycenae, and Delphi; the geologic awe of Meteora and the Samaria Gorge; and the paradisal islands of Corfu, Crete, Santorini, and Mykonos. 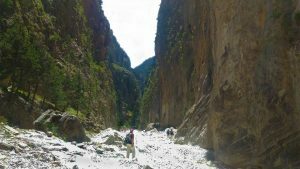 As amazing as this trip was (indeed, it is going to be hard to top! ), paradise was not perfect; it was slightly marred by racial microaggressions. From the tourist who assumed I didn’t have my U.S. citizenship, to the waitress who asked if I was one of the Filipino cruiseline workers, as well as the older traveler who demanded I get her a drink because she thought I was one of the part-time workers at a bus station cafe, examples of microaggression were frequent. It is par for the course for POCs traveling abroad, particularly in Western countries. Racial microaggressions are not just a rare occurrence but a constant struggle for minorities at home and on vacation. They are products of a wider systemic way societies look at traditionally underrepresented folks. But that is not to say my trip was ruined! This was the best world adventure I’ve had yet. There was nothing like seeing the golden rays of sunset cast against thousand-foot monoliths, topped by medieval monasteries built by endeavoring monks. There was nothing like making it to the end of a strenuous 6-hour hike through one of Greece’s most beautiful natural wonders and diving into crystal blue waters. 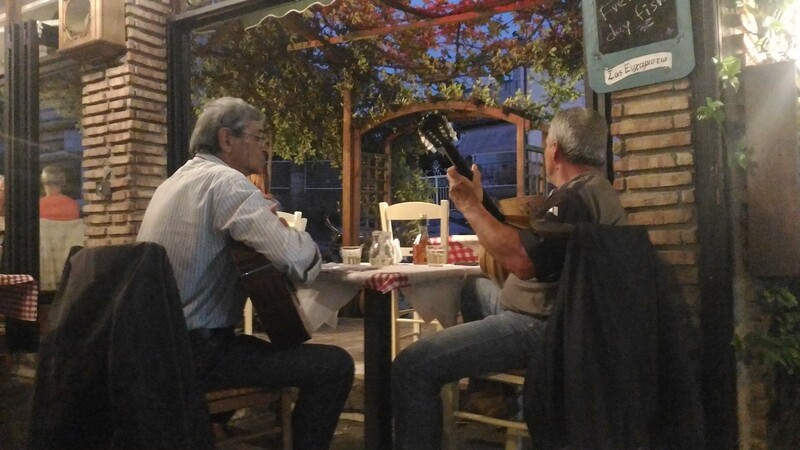 There was nothing like sharing a Mythos beer with Greek locals and listening to them play traditional folk songs. 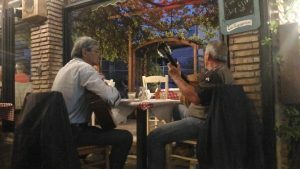 Locals in Kalambaka, Thessaly, playing traditional folk music in a taverna–and getting complimentary carafes of house wine to boot! Photo by Annie Tang. I was not only touched by the geographic and built marvels, but by the overall kindness and cultures of people from a country I’ve wanted to visit since I was a child..
Stay tuned for Part 2 of this travelogue, where I talk about my sojourn from a gender perspective, as a solo woman traveler. The Greek Islands are a bit hidden paradise. There are always a lot of things to discover all around the islands. There are many different historical places and natural bays. You can swim, take a photo and enjoy while sightseeing around the Greek Islands. Thanks for sharing your experience. Great article.